VICTORIA, BC – Craft Beer Revolution: The Insider’s Guide to B.C. 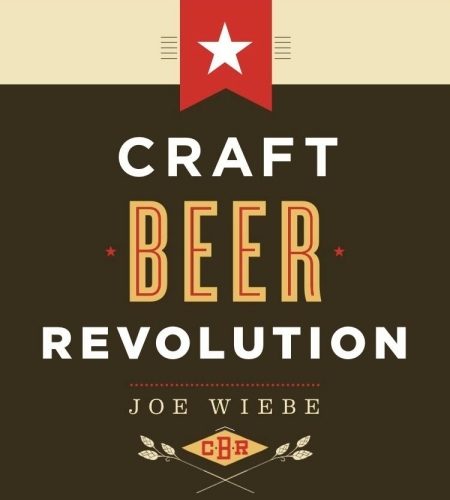 Breweries, the first book from Victoria-based beer writer and columnist Joe Wiebe, is due to be released this week by publisher Douglas & McIntyre. Canada’s microbrewing movement began in B.C. with the founding of Horseshoe Bay Brewing in 1982. Three decades later, the province is home to more than fifty breweries, including a dozen brewpubs. Beer tourists are coming in droves, and private liquor stores are selling exclusive bottles of beer at prices previously reserved only for fine wine. With profiles of each of the province’s craft breweries, as well as maps, tasting tours, and an insider’s look at the people behind the kegs and casks, Craft Beer Revolution is the definitive guide to British Columbia’s booming craft beer scene. For details on these appearances and any others that may be added, visit the Craft Beer Revolution page on Facebook.